Many businesses use social media to share the occasional blog post or special offer. If that’s the extent of your social media marketing, then you’ve probably been disappointed by the click-through rates and conversions that you’ve seen. After all, when’s the last time that you clicked on a promotional tweet? Social media marketing is much more: It’s a way to help prospects along the customer journey and convert existing customers into brand ambassadors. And that requires a lot more than sharing blog posts or tweeting promotions. Social media is a way to help prospects along the customer journey and convert customers into brand ambassadors. Appoint a dedicated social media person—even if it’s a part-time position—or outsource to a dedicated team. That way, you can consistently reach out to potential customers and avoid missing a request from an existing customer that could cost you a relationship. Your social media person (or team) should be trained in basic sales and customer service. If there’s a potential buyer reaching out on Twitter, they should know how to log into the CRM and schedule a follow-up for the sales team. 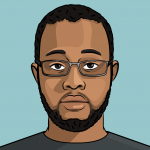 If an existing customer complains, they should know how to open a support ticket. You can also put them in contact with product teams. Social media is a great resource for discovering user pain points (everyone needs a place to vent), whether it’s a complaint about competing solutions or your own product. Themes from these conversations can be helpful when prioritizing features or bug fixes. Finally, it’s a good idea to post customer service hours on your social media profiles and/or create Twitter Direct Message bots or Facebook Messenger bots to answer basic questions. You can also link to a knowledge base or help desk within the social media profile to make self-serve options easy to find. Content production is core to any social media marketing strategy, but it takes a lot of effort to develop thoughtful content that stands out from the crowd. The Internet is full of mass-produced, formulaic content that offers little value. After being tricked into clicking on a shocking headline, readers find a boring and unimpressive blog post and quickly click the back button. How many times has that happened to you? Why would you do it to someone else? Here’s a worksheet to help you develop a social media strategy. Solve a real audience problem. Write with character, passion, and knowledge. Find a fresh approach to the topic. Make it interesting and easy to read. Thoughtful content helps both customers and your bottom line. According to Conductor, customers are more than 130 percent more likely to buy after reading a piece of educational content. 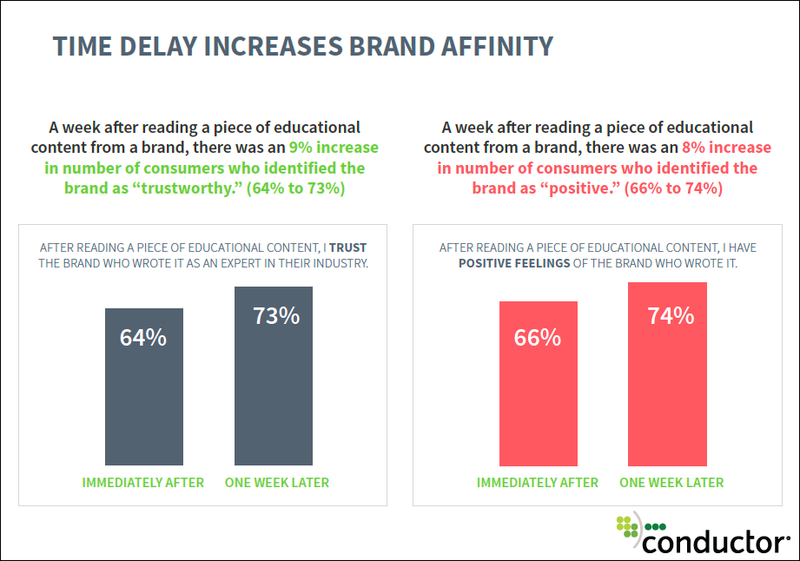 They were even 48 percent more likely to buy a week after reading the content! Content doesn’t have to be blog posts either—it can be e-courses, webinars, ebooks, videos, or podcasts. Content marketing is a complex topic, but you should at least consider a research tool, like Ahrefs, and a content calendar, like CoSchedule. These tools will help you find topics with a lot of interest and ensure that you’re consistently pushing out new content. It’s no secret that social media users have a short attention span and there’s a lot of noise. Your social media posts may get a lot of views, but most followers don’t see every post. Potential customers want to see thoughtful content on a regular basis that can help them solve their problems or learn about best practices. Over time, they will come to recognize you as an expert capable of helping them solve other problems—including those that are addressable with your SaaS product! Existing customers also want a consistent experience: If they need help, they should be able to quickly get it reaching out via Twitter or Facebook. 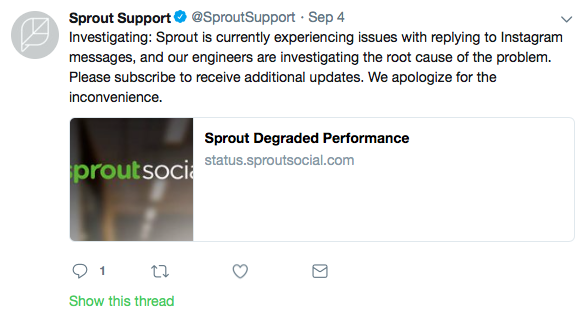 If your app is down or something isn’t working properly, they should be able to visit Twitter and see the latest status report rather than sending an email or calling a phone number. In addition to being consistent, you should proactively engage with both potential and existing customers. If someone vents about a problem, reach out to them and put them in touch with customer support, even if they don’t explicitly ask. You can also reach out to prospects asking questions in your area of expertise and try to build relationships. Social media should be a two-way communication channel rather than just a megaphone where you can shout messages to potential and existing customers. Finally, you should try to engage with social influencers—or social media users in your industry with a lot of followers. The best way to do this is by mentioning them in your content and personally reaching out to them to ask them to share with their own audience. They could become a great distribution channel to help your content reach a wider audience. Measuring social media performance helps you identify what’s successful and what isn’t, as well as how you can improve. If you don’t measure your social media marketing efforts, you could be wasting both time and money—or worse, alienating prospects and customers. Do you want to raise awareness among potential customers? Do you want to support existing customers? How many customer support tickets originated from social media? How many prospects in the CRM originated from social media? How many new followers have you attracted? What’s the average click-through rate for shared blog posts? The final step is revisiting those metrics on a regular basis and measuring them up against your historical performance or the performance of competitors. SaaS products are all about helping customers accomplish something more efficiently using software. In the same way, your social media strategy should be about helping those same kinds of customers solve their related problems. You can then more easily approach them with your product and solution. Don’t forget to download our free social media strategy worksheet to help you get started. Download this worksheet to help you design your social media strategy.